Well drilling: We have the resources to drill any size well, including residential and commercial applications. We use only the highest quality materials and are selective when choosing an aquifer. The result…Your own private water system. 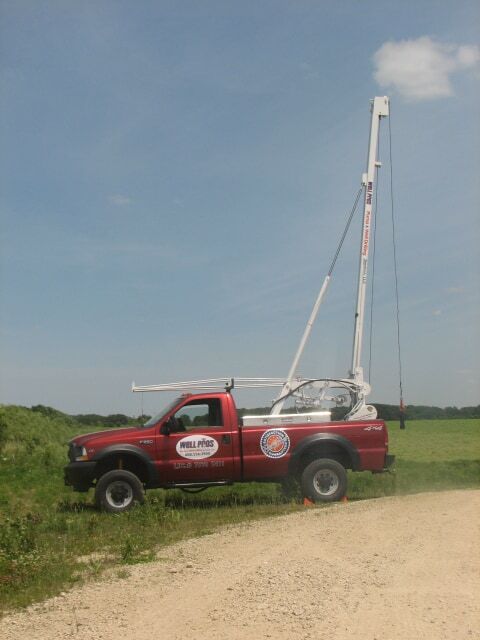 Well & Septic Inspections: We have teamed with Holmen Pumping Service to provide well and septic inspections that are needed when you buy or sell your home. Complete pump systems: We install the entire pumping system from the well to the pressure tank. We do the trenching “in-house” too. Constant pressure pump system: Well Pros offers a high quality pumping system using variable frequency technology. What does that mean? Constant pressure. You dial in the desired pressure and Voila’! Your pump speeds up and slows down to match your demand. New construction or upgrade your existing system. Well and pump service: No water? Call the pros. We have a quick response time. Our teams are just one phone call away to quickly shift around our service area as needed, and we always give our “no waters” top priority. We also use 24 hour call forwarding, so that there is no need to wait until normal business hours to talk to someone. If you are not out of water please call ASAP and we’ll be happy to quickly accommodate you as well. Small to large issues are no problem for Well Pros. Water Testing: Ensure that you have safe, quality water by allowing us to test your water for Bacteria, Nitrates, Arsenic, and/or metals. These tests are also needed when you buy or sell your home. Irrigation wells: Are you disgusted with the concept of paying for water to dump on the ground, to make your grass grow…well, have I got a deal for you. A water well is the most affordable way to water that grass. At an average price of 4-6 thousand, you do the math. It will pay for itself. Well Abandonment: If you are doing away with your existing well you’ll want to do this. What we don’t want is a bunch of conduits leading directly to our precious ground water making contamination possible. So we plug those old wells that aren’t being used. Our little way of protecting the stuff we live by (our ground water). No water? Call the Pros! Our service teams are just one phone call away! We use 24 hour call forwarding, so there is no need to wait until normal business hours to talk to someone. We always give our “no waters” top priority! © 2019 Well Pros Pump and Well Drilling Services, LLC, Onalaska, WI. All Rights Reserved.